Hi Guys !!! 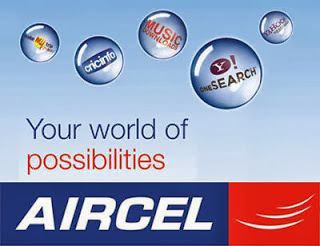 - Aircel partnered with Snapdeal has launched a offer free 3GB 2G/3G data on every mobile phone purchased from Snapdeal. Even if you buy a phone which costs less than Rs.5000 from snapdeal you will still get the offer from Aircel. Founder: This Trick is Found and Post By - Rahul Saini. 2. Click on Buy and login with any fake id. Now a page will open. 3. Fill all fake details pin code, name, address, city mobile. 4. Now click on continue. 5. Click on Cash On Delivery and then Complete order. 6. That’s it now you’ll get Aircel coupon for free 3GB on your mail id within 24 hours. Note: Try this offer now before its get stopped. 1.Customer buys any product under the offer from Snapdeal.com. What about the 2nd one? Ya I Know. But This is a Offer. Me also same pbm. It will sends promo after the confirmation only. How i get. How to check the data balance for this offer??? can any one post?? ?